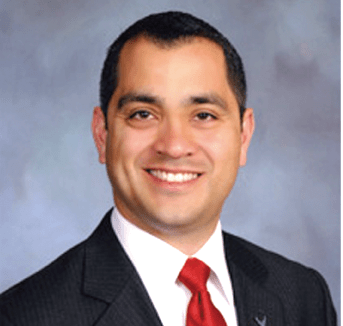 Norwalk Councilman Marcel Rodarte will leave his Council post in July to take the Executive Director position at California Contract Cities. Hews Media Group-Community News has confirmed through a high-level source that Norwalk Councilman Marcel Rodarte is negotiating an employment contract to become the Executive Director for the California Contract Cities Association (CCCA). If negotiations go well, Rodarte will leave his seat on the Norwalk City Council July 1. The CCCA, based out of Downey, boasts 65 member cities on its website, with those in HMG-CN’s area including Artesia, Bellflower, Cerritos, Commerce, Compton, Downey, Hawaiian Gardens, La Mirada, Lakewood, Long Beach, Norwalk, and Santa Fe Springs. Rodarte has been negotiating with the Executive Board of the CCCA for the past few months and will reportedly sign a board-approved employment contract April 8. After signing, he will “shadow” current CCCA Executive Director Sam Olivito and officially assume the post July 1. Rodarte will then resign from his elected Council position soon thereafter. HMG-CN researched the topic and found that under California Government Code 36512, the Norwalk City Council can appoint a councilperson or call an election within 60 days. Norwalk would have to pay for the election, so the likelihood of an appointment is much greater. The appointment process was not outlined in the Code so presumably there is no set procedure the City Council has to follow, but the appointment would run until the next election, salted for March 7, 2016. Councilmember Rodarte grew up in Norwalk and attended Ramona and Moffitt Elementary schools before going on to graduate from Norwalk High School in 1990. Rodarte first won in 2011 and became Mayor in 2014. If the liberal whack job Tony Mendoza was saddened to see him leave.. Rodarte must have been a one too!! Apples don’t fall far from the tree..